Getting healthy doesn't have to mean sacrificing flavor. This classic chicken ginger pilaf recipe is filled with ingredients that are not only good, but great for you. 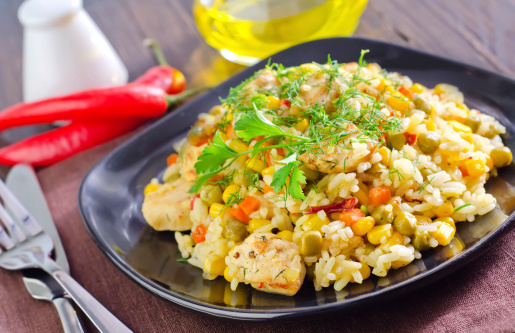 For a healthier chicken ginger pilaf, be sure to use a low-sodium vegetable broth and basmati rice. Heat olive oil on low heat in a medium pot. Add the chicken cubes and rice and cook for 2-3 more minutes. Reduce heat to a low temperature and cover pot for 8-10 minutes, stirring occasionally until the rice is fully cooked. Top with a teaspoon of Greek yogurt if desired.